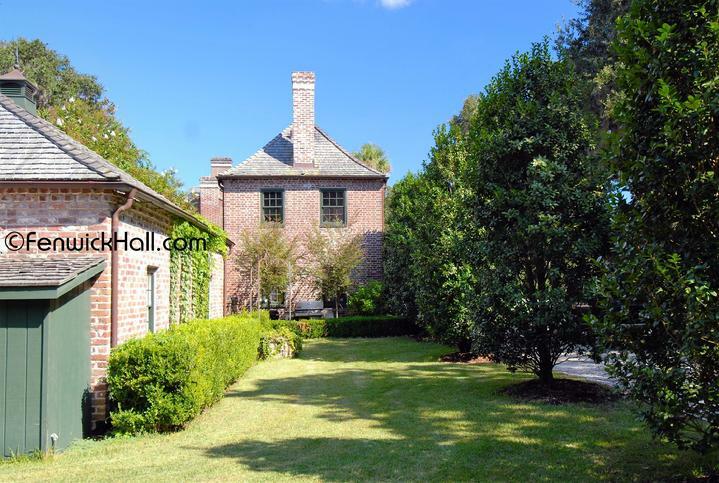 Edward Fenwick Sr's "Coach House". 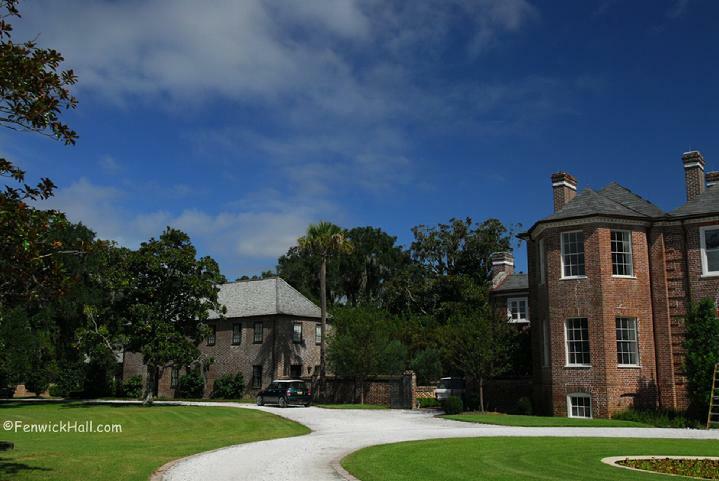 Built by Edward Sr (son of John) after Edward inherited Fenwick Hall & other plantations from his father and upon returning from England following his father's death.The carriages and coach horses were housed in this building. Edward's now famous 'race horses' were stabled in a 'matching' stable to the carriage house on the other side of the main house. Nothing remains of the once impressive stable. The horses that pulled the carriages were housed separate from Edward's race & breeding horses. Edward would 'present & show' his newest english horse importations at the Battery in Charleston and race them at New Market course in Charles Town. 2009. 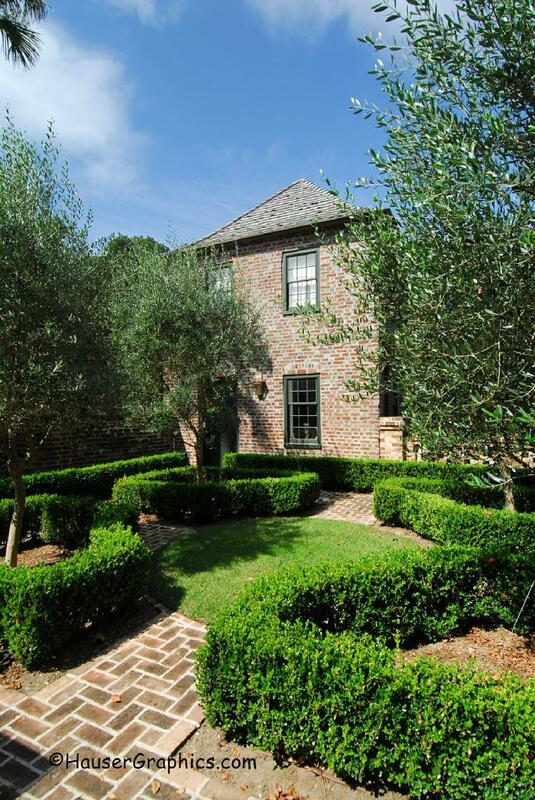 Carriage House -awesome restoration inside & out! Photographer John R. Hauser. 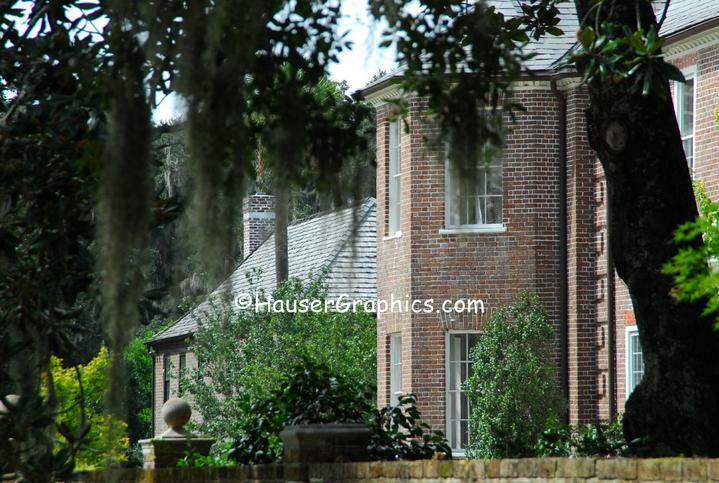 2009 Carriage House of Fenwick Hall Plantation build by Edward Fenwick. Photographer John R. Hauser. 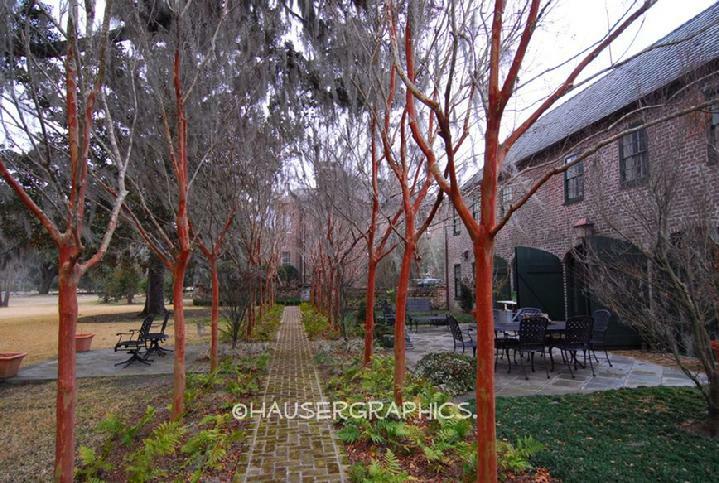 2009, Carriage House & English Garden. 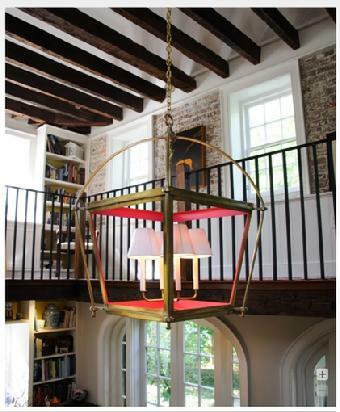 View from upstairs bedroom in octagonal wing. Photographer John R. Hauser. 2010 April. 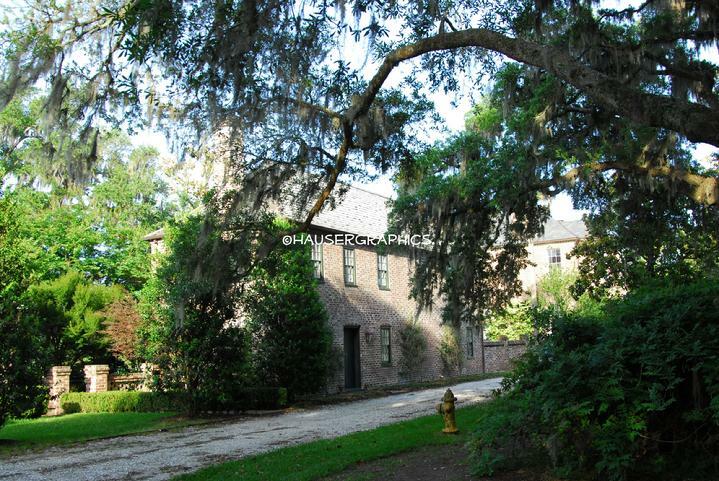 View of Carriage House & Kitchen House for the plantation. 2010 April. Coach House of Edward Fenwick @ yr 1750.
carriage house in winter. 2010 April. 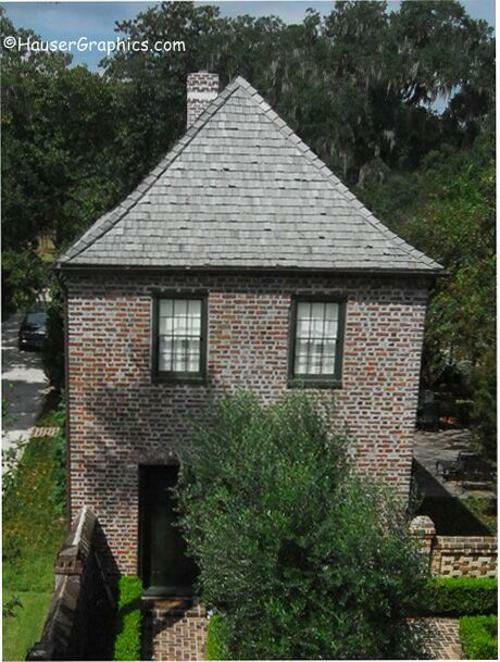 Edward Fenwick's yr 1750 Coach House. He also kept his 'coach horses' in this barn and separate from his breeding stables. 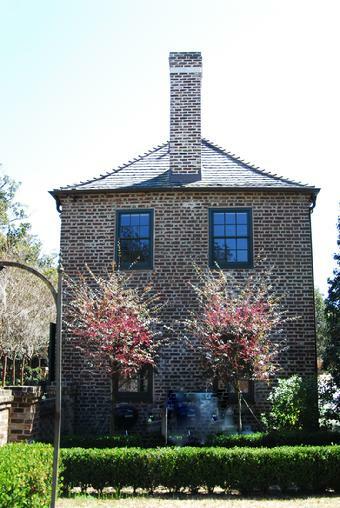 The coach house has been restored completely including mortar repair between the very old bricks and wood shake roof shingles. Olive Trees have been planted near the walls. Image by John R. Hauser. 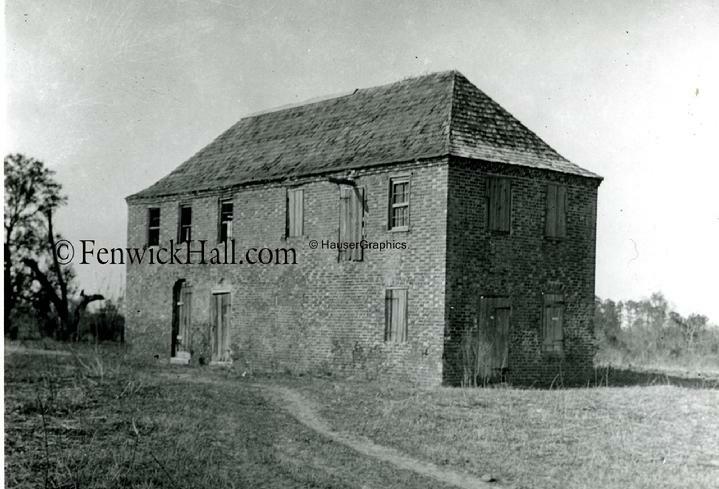 This building stored the Fenwick Carriages used in the 1700's. Their famous arabian horses were kept in a second brick barn. 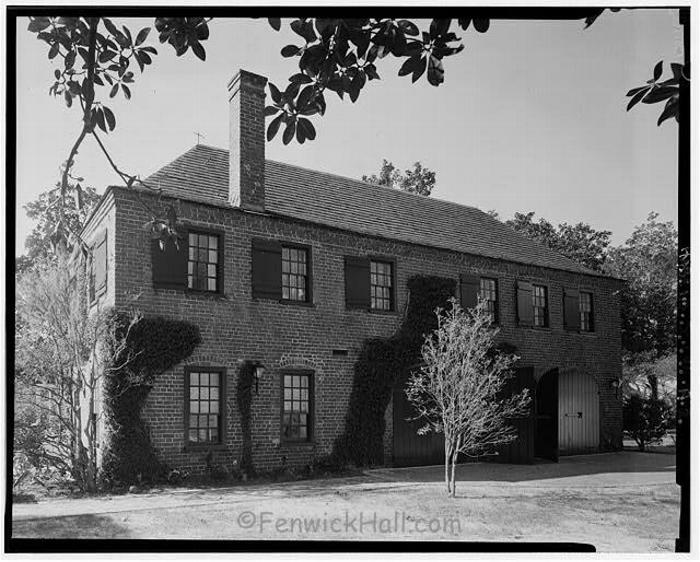 Carriage House of Fenwick long ago. 2010. 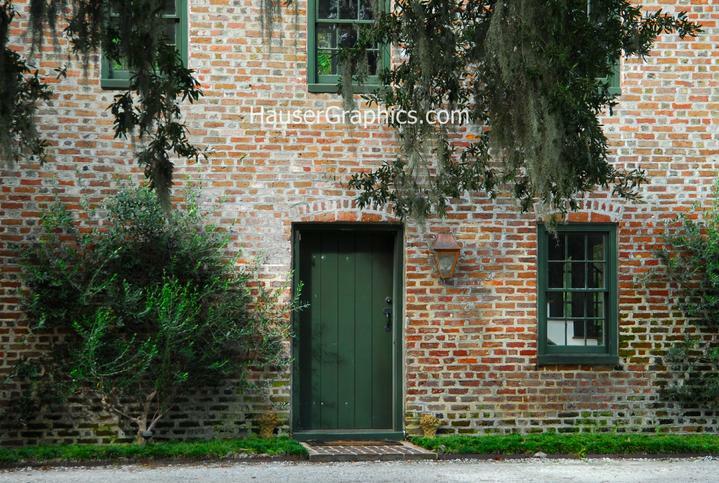 Edward Fenwick's Coach House side door entrance. 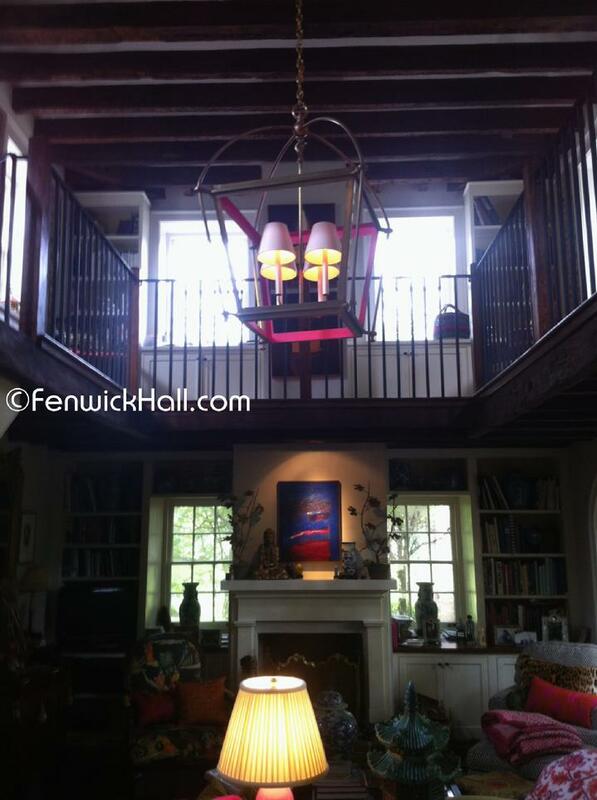 Note the brass light fixture that was designed for the carriage house and is called the "The Fenwick". Note awesome brick work and great colors. Image by John R. Hauser. 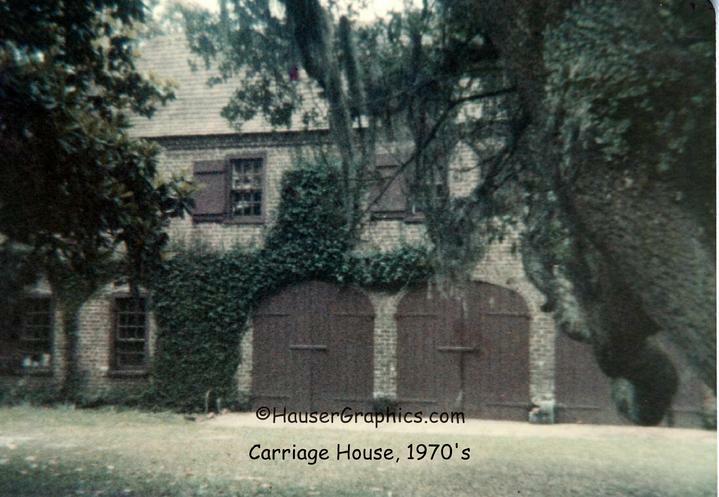 2009- Carriage House was home for the carriages & coach horses. The english garden is courtesy of the new owners. Photographer John R. Hauser. 2009 with glimpse of the doors that opened for the carriages. 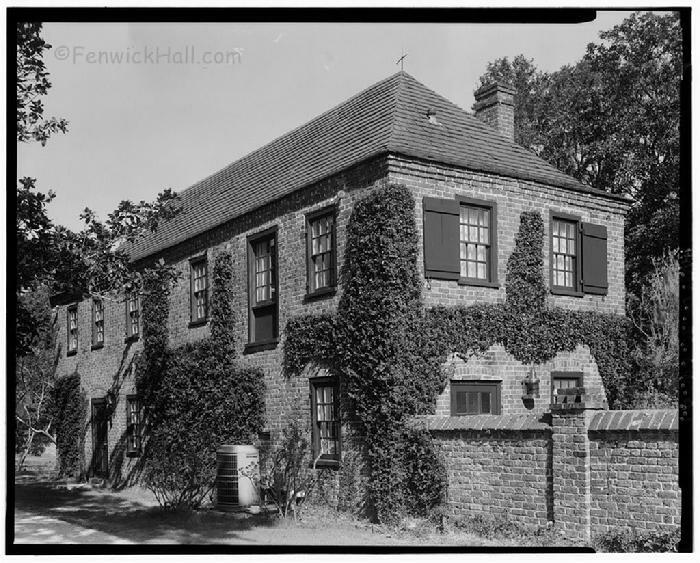 Fenwick's circa 1750 Coach House. Photographer John R. Hauser. 2009. Edward Fenwick Sr's Coach House. While the coach house has an impressive wood shake roof, the castle itself has a slate roof which took craftsman eight months to replace. View from octagonal wing of the main house 2nd floor front bedroom. Photographer John R. Hauser. 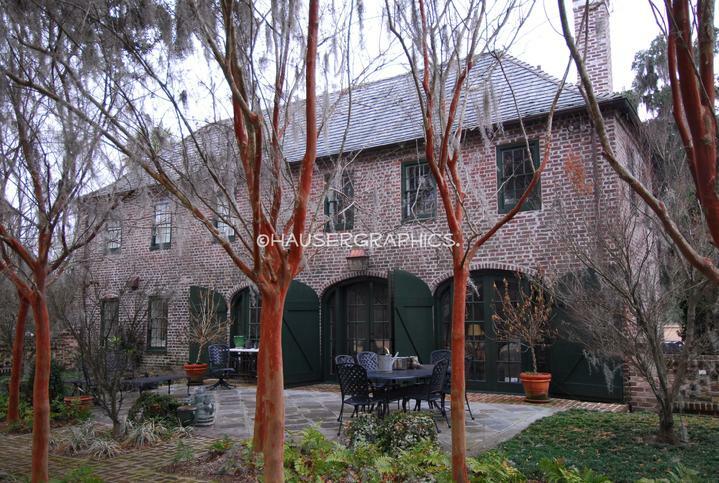 Spring 2010, Coach and Kitchen House facing the Stono River. 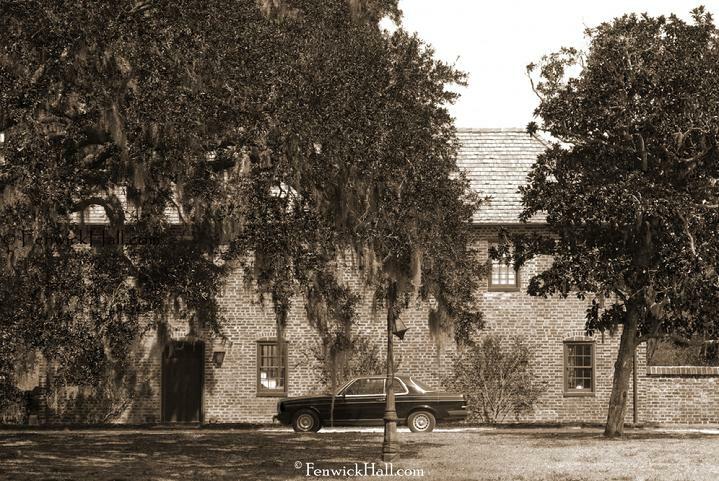 Edward Fenwick's Carriage House, constructed 1750. This image from 1960's. 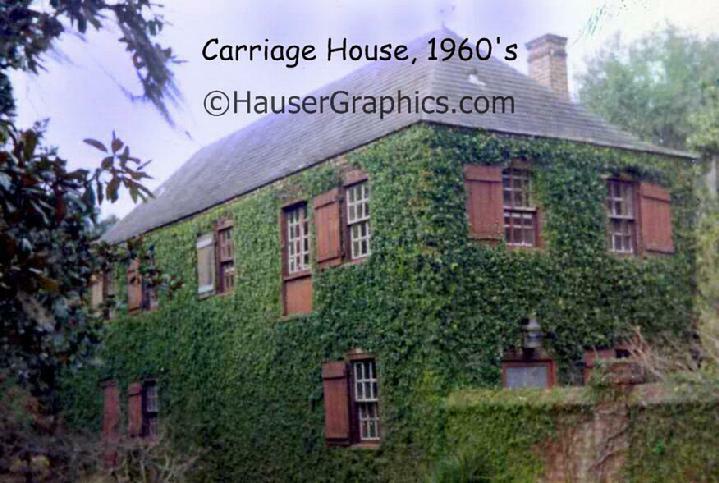 1970's Edward Fenwick's Coach House where is carriages and carriage horses were kept. Photographer John R. Hauser. 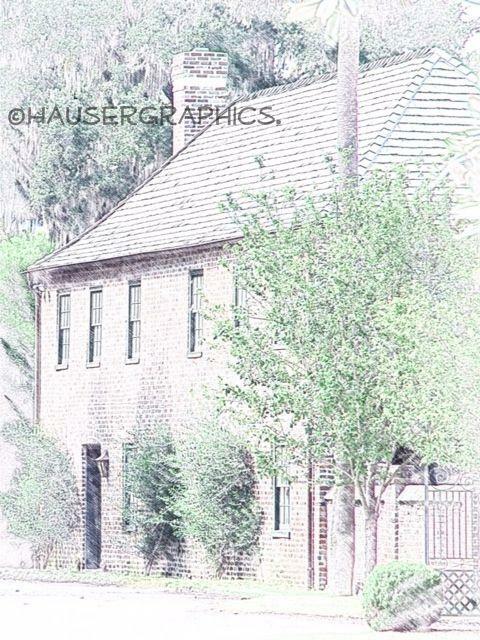 1970's Coach House, Stono River side. 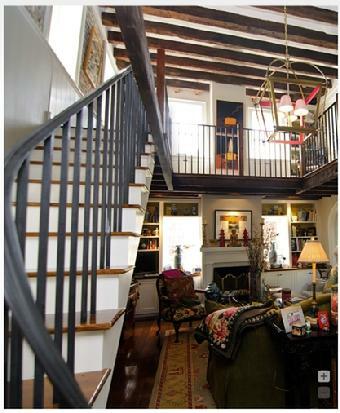 Upstairs was used as a Game Room by the Blanchards. Claude W. Blanchard Sr, was a 'city champion' pool player. 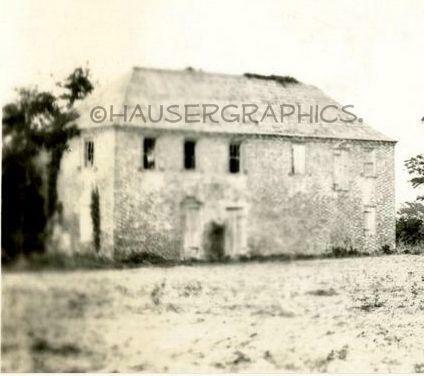 The inside of the Coach house had been chopped up into offices by Fenwick Hospital. 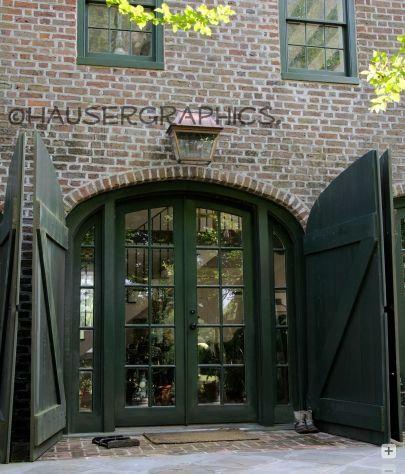 Now the carriage house has been restored and I consider it a show place. The huge wood coach doors are now glass that overlooks the rear lawn of the estate. 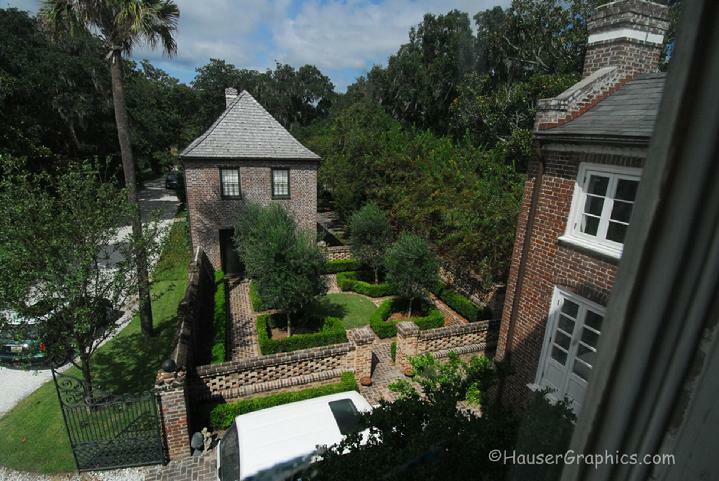 Note the ancient oak tree limb in the right of the image. Photographer John Hauser. 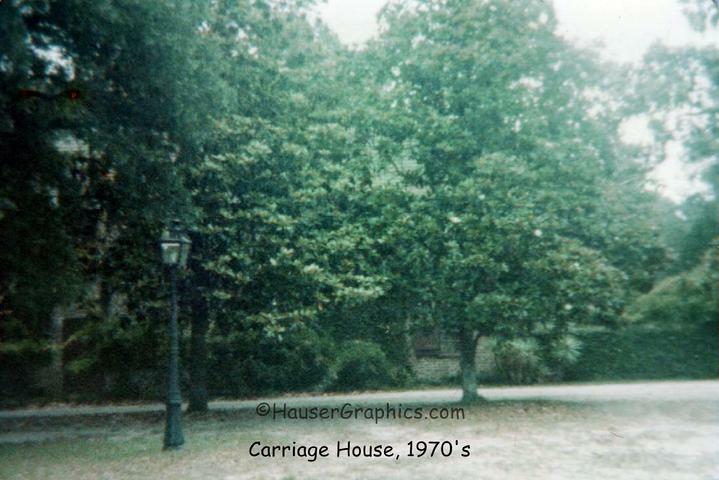 1970's view looking toward the coach house which is behind the trees. Photographer John R. Hauser. 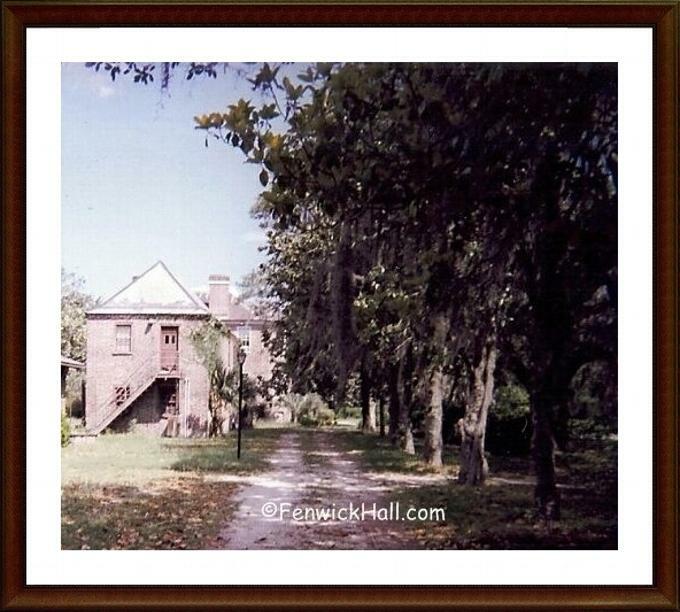 5.11.1999 Edward Fenwick's Carriage house as left by Fenwick Hall Hospital in very rough shape. Note missing shingles on the roof. Row of very old Magnolia trees planted by the Morawetz in this rare view. 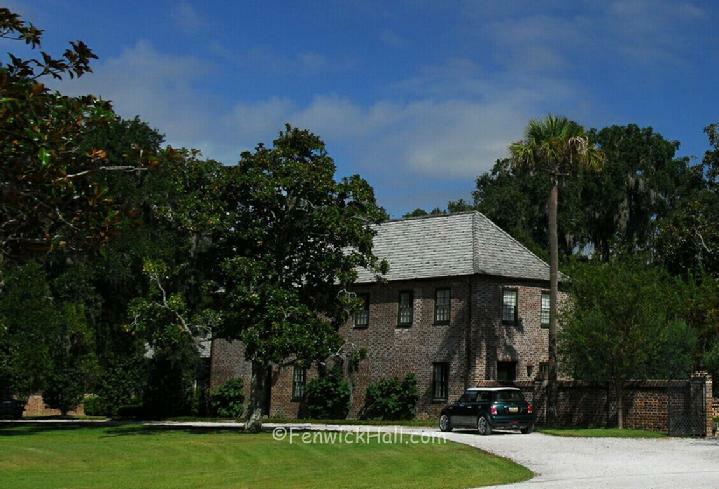 Fenwick's current owners saved and restored the very old carriage house in early 2000's. Photo courtesy of Carol Dawn. 1980's, as part of Fenwick Hospital, this side faces River Road. 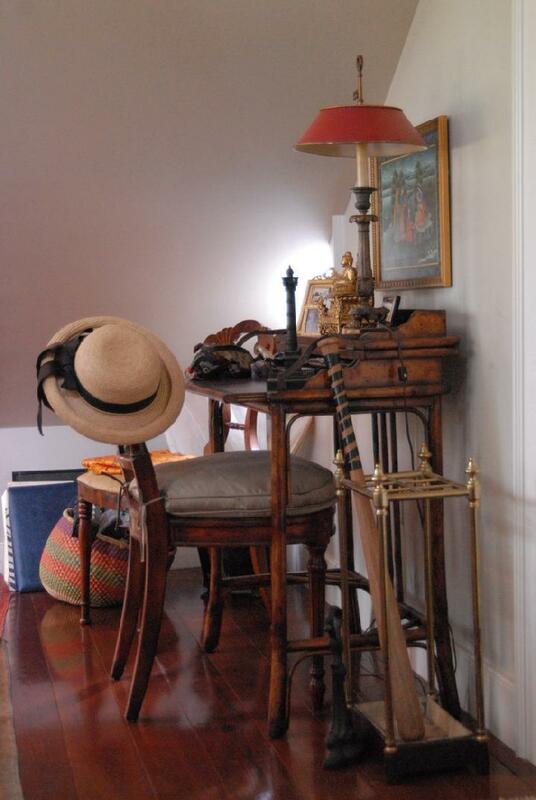 Interior was chopped up and used as offices. 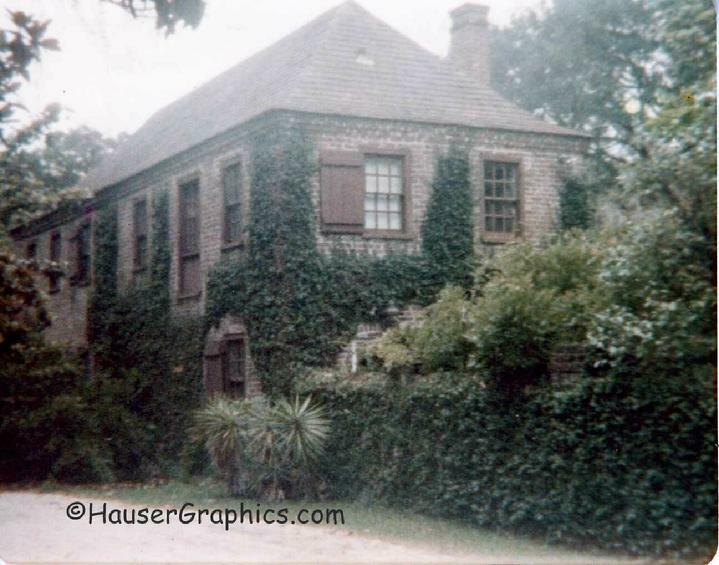 1980's, Carriage House/Stables built ~1750's, Stono River Side, One note-notice the chimney/fireplace has been relocated to the west side of the coach house during the restoration. Also the huge wood doors on old hinges opened up to store the transportation (carriages) for hundreds of years.